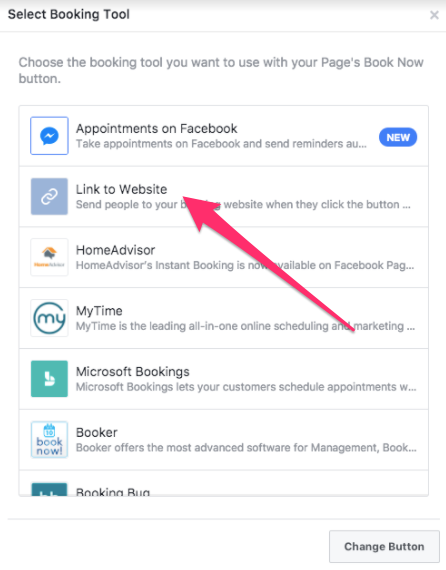 You can now link your Housecall Online Booking option to your Facebook page. 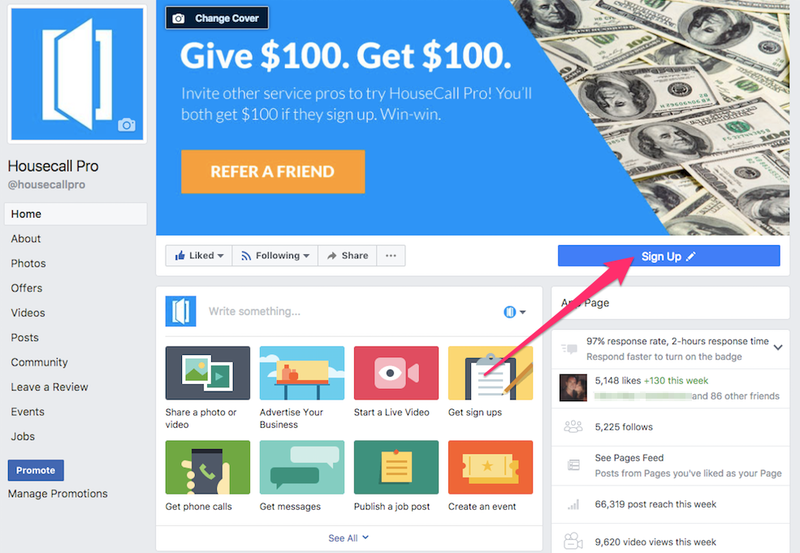 This option is only available on Facebook pages for businesses and cannot be added to a personal Facebook page. Hover over the blue 'Sign Up' button. Choose 'Edit Button' from the drop down menu. Toggle OFF 'Turn on Instant Replies' then choose 'Other Options' toward the bottom right. This will take you to the screen where you can paste your booking link. 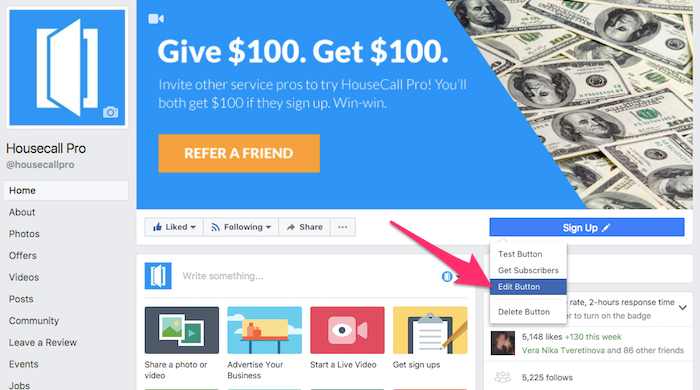 To get the link, go to your Housecall Pro account in a NEW TAB. Click 'My Apps' at the top of your screen and click the gear icon to go to the app settings. Select the Facebook icon then copy the link in the bottom right of the screen. 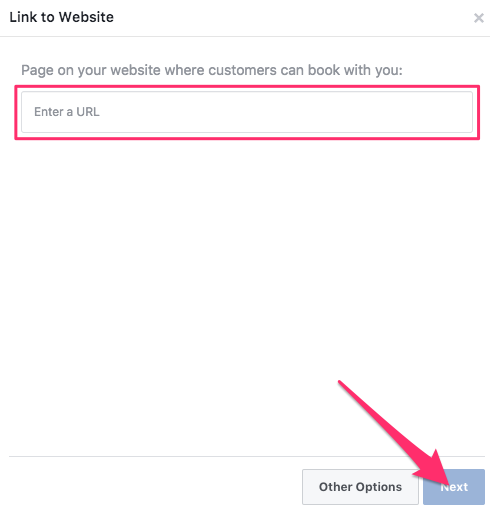 Toggle back to the Facebook tab, paste the link and click 'Next' in the bottom right. 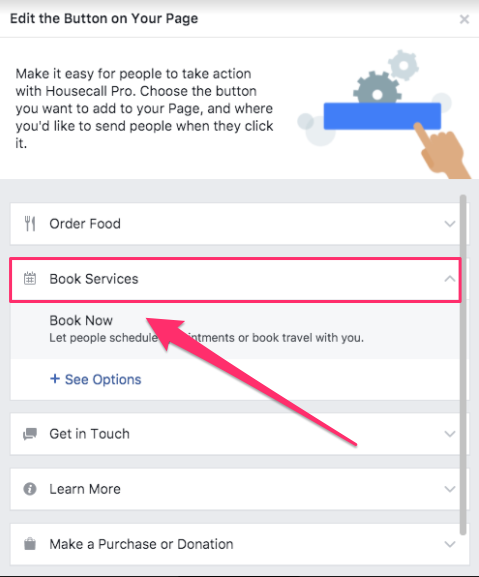 Your Facebook booking is now up to date with your Housecall Pro online booking link! Disclaimer: HouseCall is not responsible for any fees added by outside sites to include the booking link.